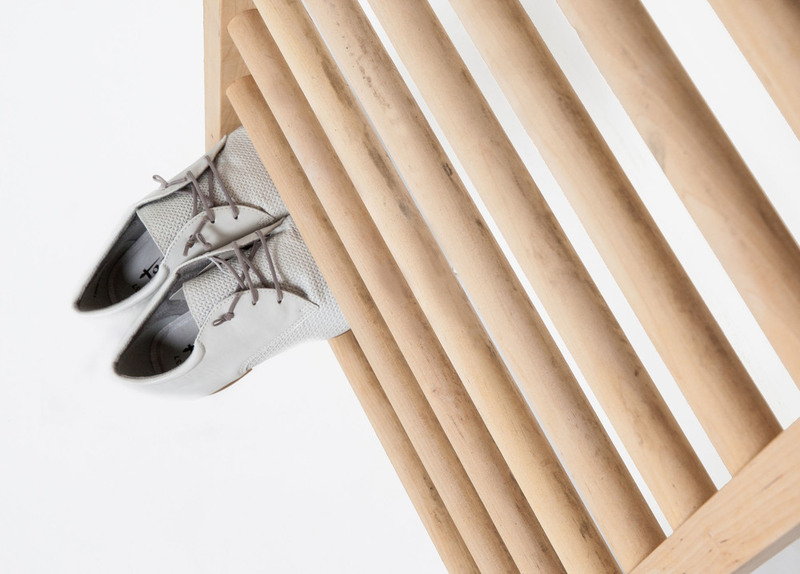 This simple solution to store shoes and always have them in sight, designed by Tore Bleuzé, feels so obvious and natural that it’s almost strange it hasn’t been used before. 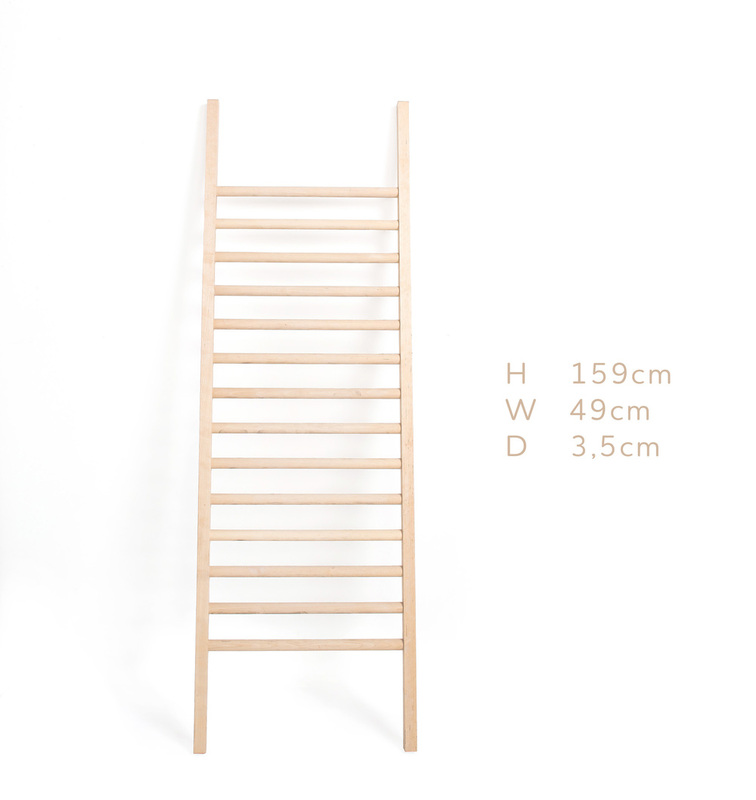 All you need to do is gently put STEP UP against a wall and it will do the job. 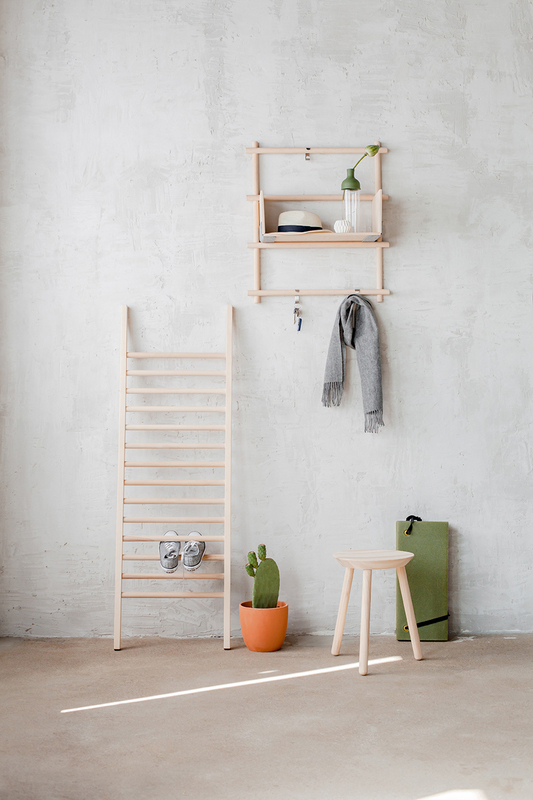 It doesn’t take a lot of space and it can be easily relocated. 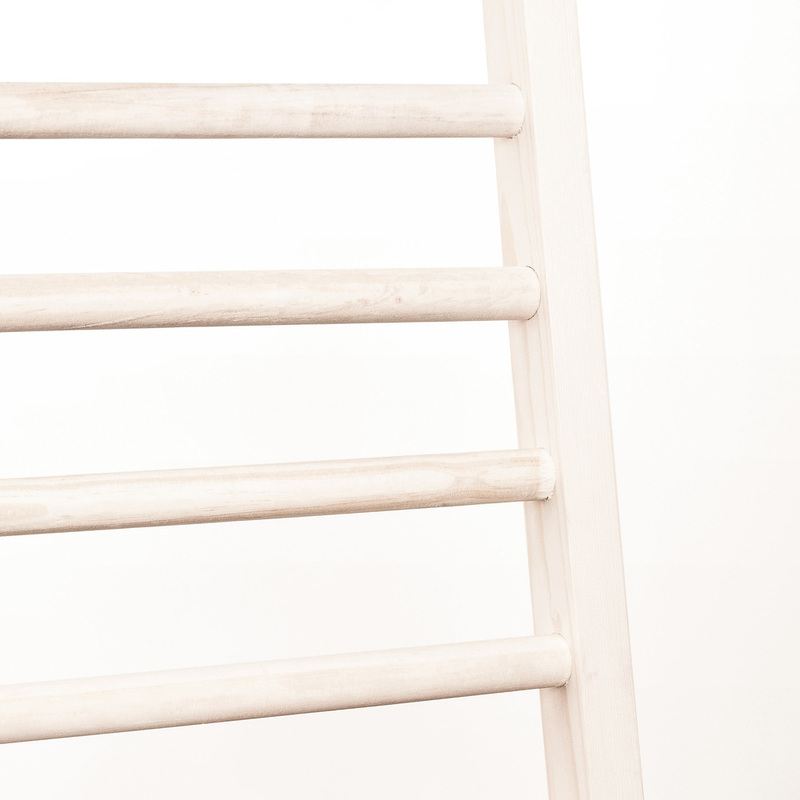 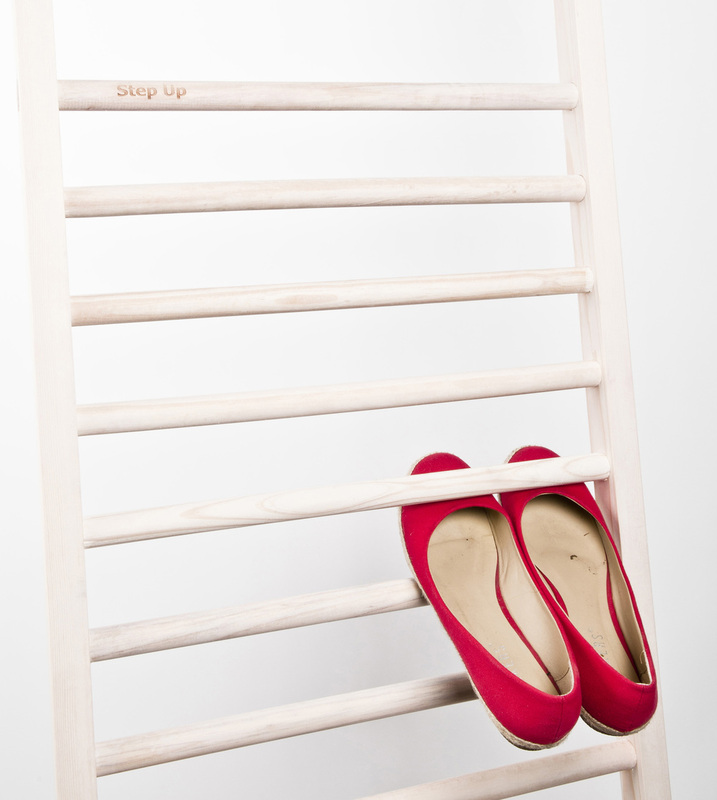 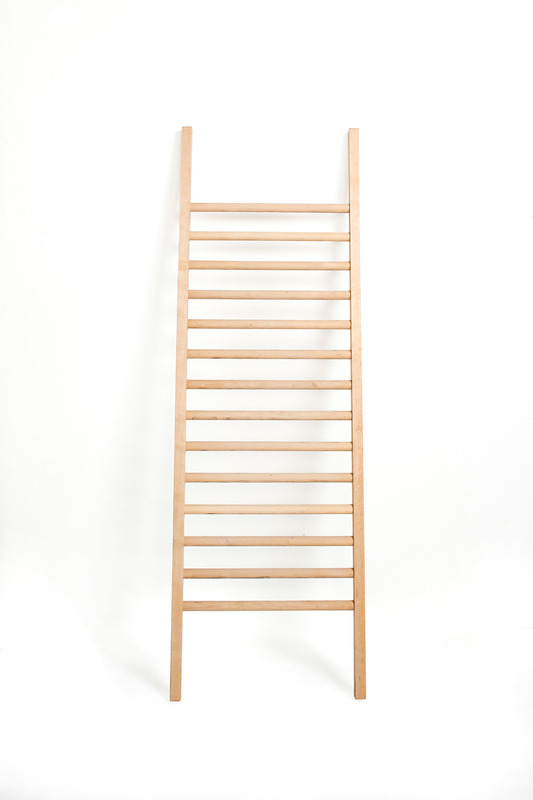 The smaller version of this shoe rack, the STEP UP Mini, has recently been welcomed into the EMKO range as well. 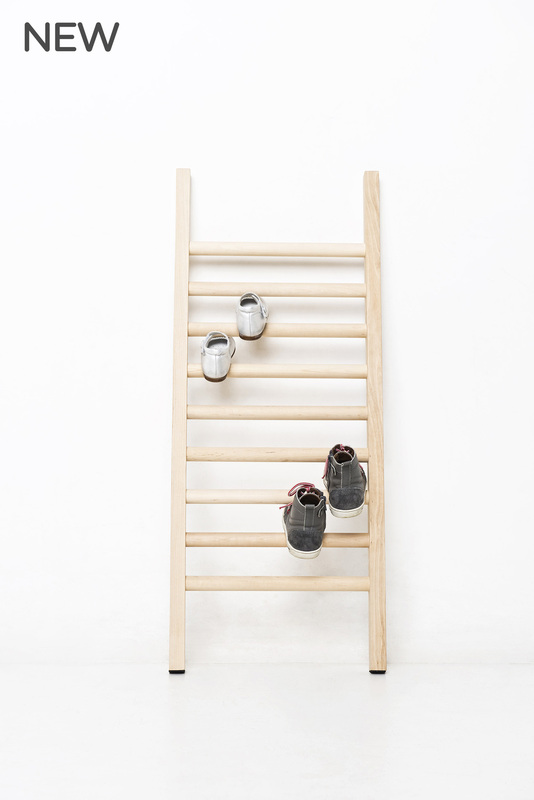 Used by itself for smaller shoes or smaller spaces, or in combination with its “bigger brother”, the STEP UP family can now fit everyone’s needs.